Hi , I hope your weekend is off to a great start. I recently ran an experiment with my new book The Empowered Artist that proved to be pretty popular. 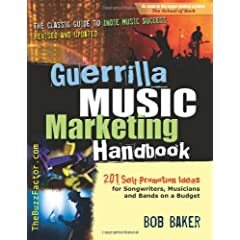 So I thought I would create a similar tantalizing bundle for my most successful book, the Guerrilla Music Marketing Handbook. 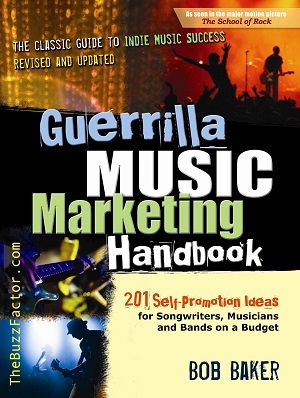 It's considered by many to be the classic guide to self-promotion for independent artists. An earlier version of it appeared in the movie The School of Rock starring Jack Black. See screenshots of that scene here. It's been used in countless college and university music business classes around the world ... blah, blah, blah. Perhaps you already own a copy of it (as an ebook or an older version). And, the low amount I'm asking INCLUDES shipping anywhere in the world!